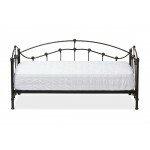 Featuring arched lines and delicate feminine lines, the Dahlia twin size daybed will add a sense of charm to your home. 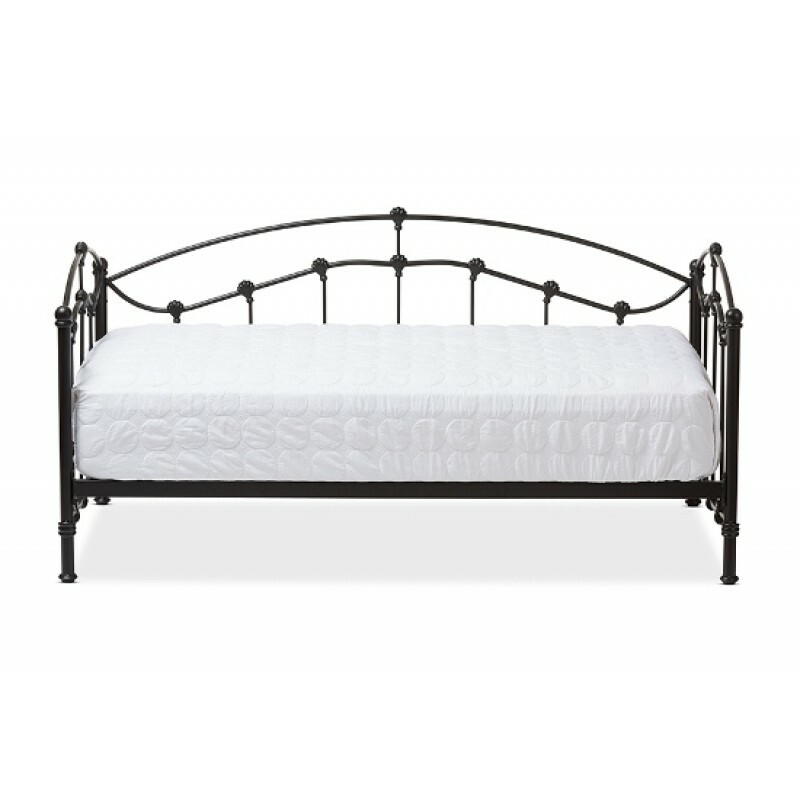 Constructed of metal frame and powder-coated in black finish, the daybed is built to last. 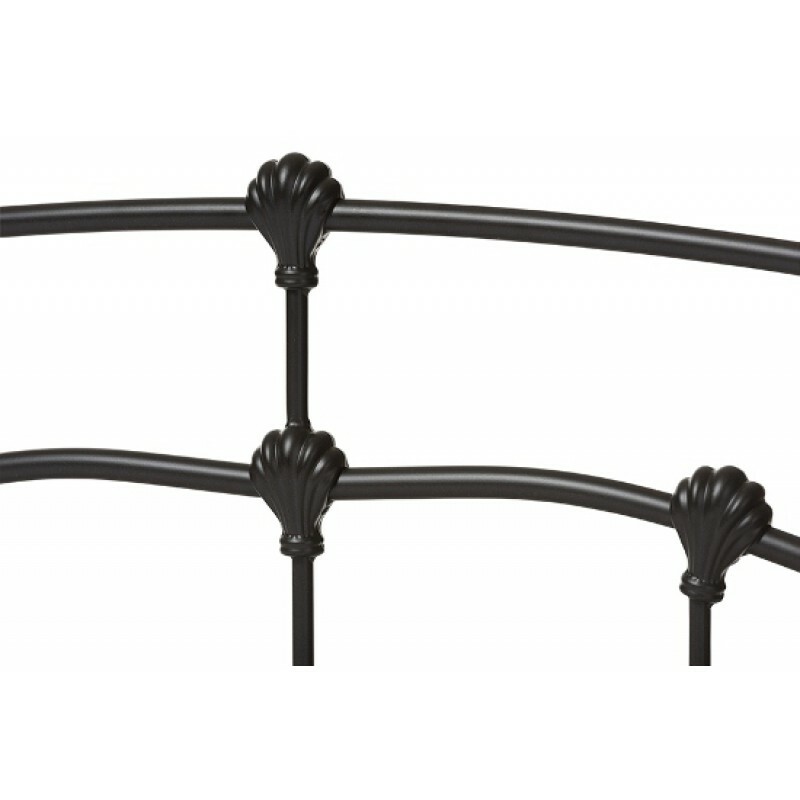 The graceful side panels and back panels boast a sophisticated centerpiece, with the ornate shell-like embellishments adding a decorative interest to the slat style verticals. 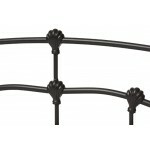 Attentive finials complete an ornate and most desirable bed frame whilst maintaining a timeless image. 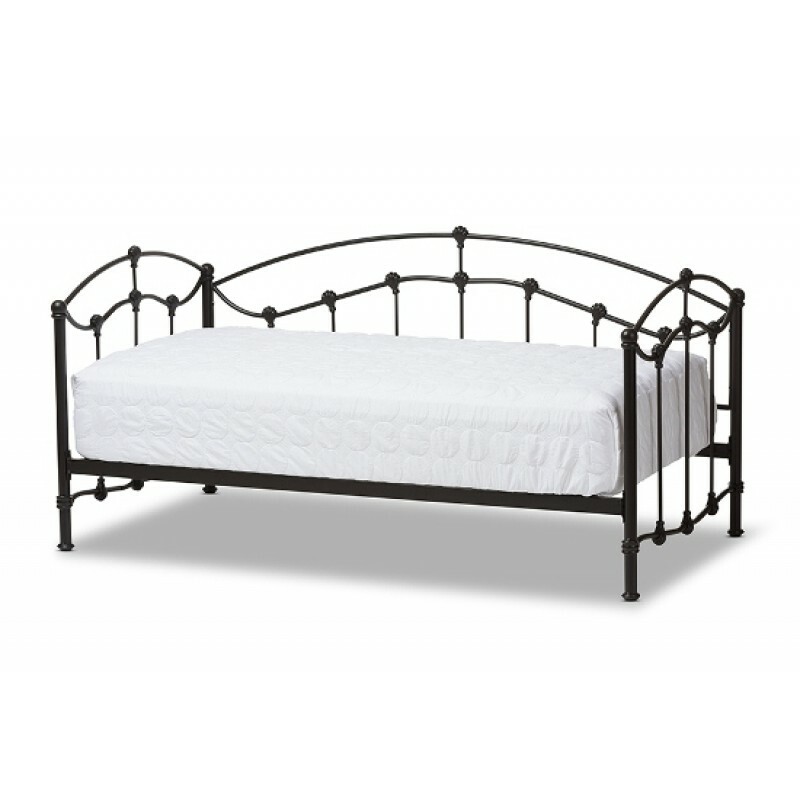 With generous under bed clearance, the Dahlia provides additional storage, ideal in helping to maintain a clutter-free and more inviting living space! 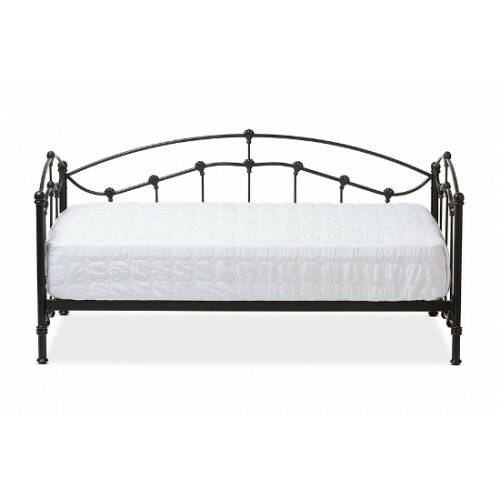 The Dahlia daybed can also be used as a twin size bed in your guest room or home office. 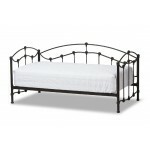 Made in Malaysia, the Dahlia daybed requires assembly.